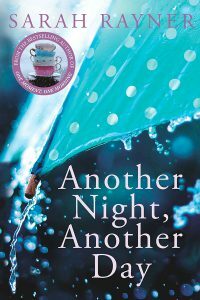 My fifth novel, Another Night, Another Day, focuses on three people who meet in a psychiatric clinic, and when it was launched, I wrote several short blogs for a mental health website called Moodscope about anxiety to tie in with publication. It was 2014, and anxiety was the theme of Mental Health Awareness Week that year and, as someone who’s suffered from periods of bad anxiety over the years and tried various treatments, I felt I had learned ways that had helped me manage that might benefit others too. 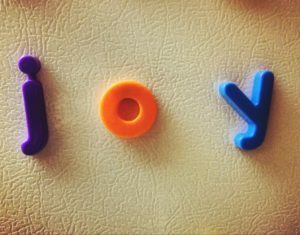 Each day that week I explored a different element that can lead to excessive worry and panic, starting with ‘A’ for ‘Adrenaline’ and finishing with ‘Y’ for ‘You’, so that it by day 7 I’d spelled out the whole word. I researched each subject carefully and had the content checked by my friend, GP Patrick Fitzgerald, to make sure the advice I gave was responsible. 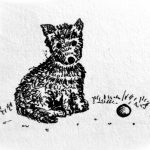 Many of the online comments on those blogs were incredibly heartfelt – it seemed there were a lot of people out there who were as desperate as I’d been. Because make no mistake, being in the throes of bad anxiety in any form is absolutely vile. 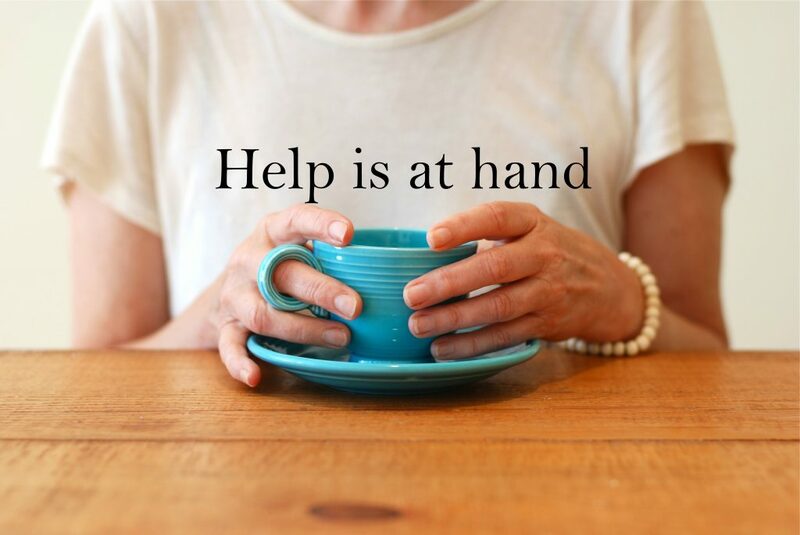 It can be paralyzing mentally and physically, and whatever form it takes (panic attacks, OCD or a phobia, for instance), sufferers need all the support they can get. The online responses made me wonder if there was a need to offer anxiety sufferers something more substantial and informative; a book that they could turn to whenever they felt really bad. 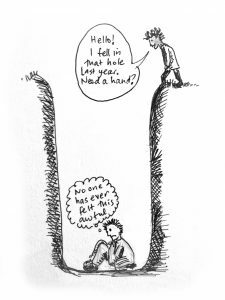 And so I set my hand to penning Making Friends with Anxiety, a little self-help book in which I drew on my own experiences and what I’d learned about anxiety management over the years in order to help others help themselves. 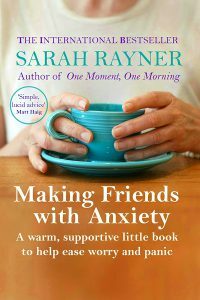 The title reflects the simple premise that befriending anxiety helps sufferers manage worry and panic far better than fighting these feelings. 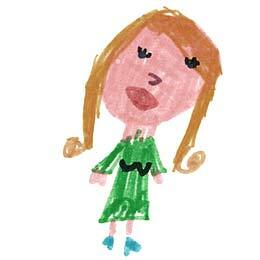 Doing so enabled me to regain control of my physical and mental reactions. As a former advertising copywriter, I’ve had plenty of practice at writing non-fiction, and like my original blogs, the chapters of the book spell out ‘A.N.X.I.E.T.Y.’ which I hope makes the content easier to remember. I am aware that whilst medication and therapy can be extremely beneficial, they’re not usually immediately effective or available straight away – my hope is that the book can help plug that gap. I also hoped by keeping the book relatively short, simple and affordable, it would reach a wide readership and speak to people from many different walks of life. But I was also aware that publishing the traditional route tends to be slow, and people needed the information urgently. Mental health services have been cut extensively around the UK; there are less beds for mental health patients in NHS hospitals than ever. (This is as true in 2017 as it was in 2014). Back then, I didn’t feel there was a moment to waste. I was also concerned that book might end up having to be more expensive if a publisher were to become involved. Spurred on by curiosity (I wanted to find out what the world of self-publishing was like) and a desire act fast, I tapped bestselling author Cath Quinn for advice on self-publishing – she lives in Brighton and we both belong to the the local author group, Beach Hut Writers. She’d self-published a novel, The Thief Taker, and done extremely well. 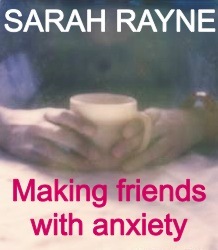 Making Friends with Anxiety was published as an ebook on Amazon in September 2014. I invested a small amount on advertising it on Facebook, and within days it began reaching an audience. 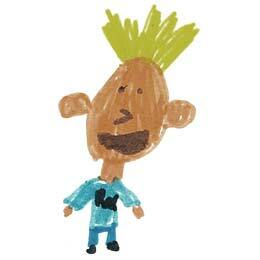 To say I was bowled over by the responses is putting it mildly. In the weeks that followed the launch of the ebook, I received many requests for a print version that I decided a paperback was warranted. W hilst the printed version has be priced higher than the ebook for obvious reasons, it’s still less than £5, which I hope puts it within reach of many. There’s something about holding a book in the hand that is more sensual and comforting than a digital version. Initially I wasn’t sure how good the quality of a self-published paperback would be, but I couldn’t be happier; moreover it is the perfect size to slip in a handbag or carry with you. I was even able to include lots of photographs, diagrams and illustrations to break up the text and make it a more pleasurable read. After all, why on earth should a book about mental ill-health be anything less than a joy to look at? 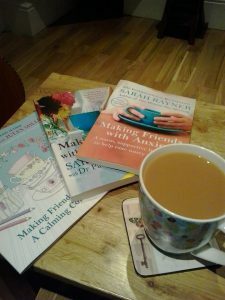 Since 2014 I’ve regularly updated the content of Making Friends with Anxiety – it now includes tips and insights from the group on Facebook (more of which in two twos) so it reflects much more than just my experiences. 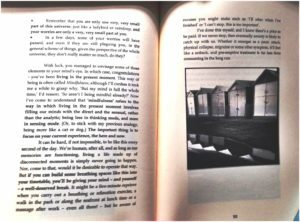 (This photograph, left, was sent in by a reader.) 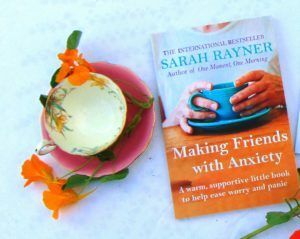 In that time Making Friends with Anxiety has sold tens of thousands of copies via Amazon around the world. It currently has 240 reviews on Amazon.co.uk with an average of 4.5*s. I’ve even been approached by two publishers keen to take it over (one large, one small) but thus far haven’t been tempted. The reasons are complex, but the bottom line (to use an apt phrase) is that it would be hard to keep the price point as low, and it certainly wouldn’t be feasible to turn round new editions as fast; to be able to incorporate details of new treatments has real advantages. 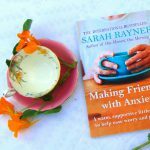 At the same time as publishing Making Friends with Anxiety as an ebook, I launched an online support group of the same name, on Facebook. I followed the example of my friend and fellow author Kate Harrison, who’d had great success with The 5/2 Diet Book and her 5/2 Diet Facebook group. I joined that group in 2012 when Kate set it up – today it boasts over 50,000 members – and her 5/2 books have all been bestsellers. Talk about inspiring! Obviously a group focusing on mental health is not the same as a diet group. 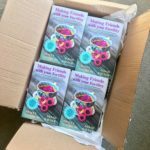 With Making Friends with Anxiety the group works in a similar way to the book; just as the book aims to help readers to help themselves, so the Facebook group enables other sufferers to support one another. The group grew very fast, and after a couple of months it became obvious it was too much for me to manage alone. 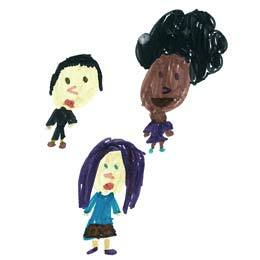 Some members can be very distressed, and trying to work out how to support them began to trigger my anxiety. But at the same time, it also became apparent that there were other members who were exceptionally able when it came to supporting others, and who had a lot of wisdom and insight to share. I asked one or two of them if they would help run the group and now there are nine Admins who run the group in their spare time. They live miles apart (one is in Devon, another in Norfolk and another in Motherwell, Scotland, for instance) and have all been helping since the early days of the group. Each of them gives a huge amount of time and energy to others, and they’ve contributed to updates of the book. And because they have all experienced anxiety themselves, they absolutely ‘get’ what it can be like to feel overwhelmed by worry and panic. To see such openness and generosity in has been heart-warming. I’ve long held a belief that humans are basically more good than bad, but with everything that’s in the news currently it sometimes feels hard to hold steadfast to such optimism. The story of Making Friends with Anxiety gives me hope, and I’d like to express my heartfelt gratitude to everyone who has been part of it. 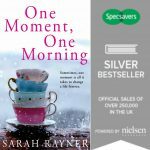 For the cover of Making Friends with Anxiety, I commissioned Madelyn Mulvaney, who took the teacups on the UK cover of One Moment, One Morning, to take a photograph. ‘I like this picture,’ I said, and mocked up a very rough cover using the Polaroid below. The photo she took features her own hands, and was, like the teacups on One Moment, One Morning, shot in Vancouver. Since Making Friends with Anxiety came out, I’ve added four more titles to the series including More Making Friends with Anxiety and A Calming Colouring Book, which I hope reach out to readers struggling with anxiety in a myriad of ways. 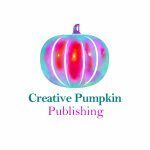 You can find all the titles on Amazon worldwide, in paperback and digital download. 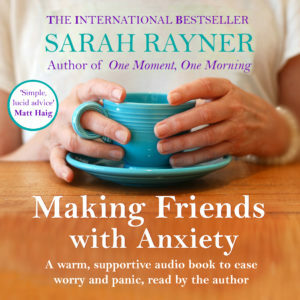 Making Friends with Anxiety is coming out on audio soon. Specially adapted and read by me, Sarah. Watch this space for details.